' Every child comes with the message that God is not yet discouraged of man ' - Rabindranath Tagore. As we celebrate Children's Day today, let us pause for a moment and look back at some of the best young talents we have in our country. They way they have achieved such brilliance so early, is worthy of applause. 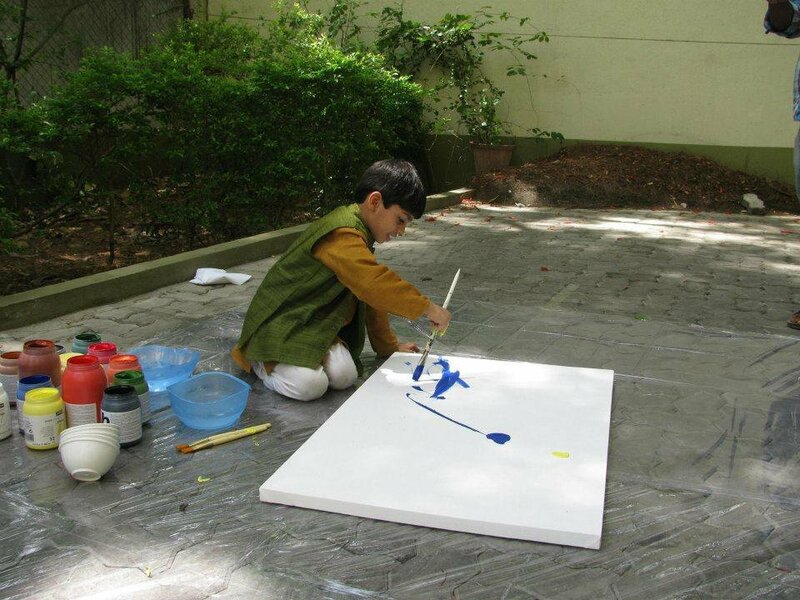 Seven year old Shorya Mahanot started his tryst with colours when he discovered his sisters' art books. But unlike them, he gravitated towards abstract works, very much like Jackson Pollock, who incidentally happens to be this young prodigy's role model. When asked about Pollock in an interview, Shorya replied, "He also makes paintings like me." Pandya was just 18 months old when he started playing the tabla. 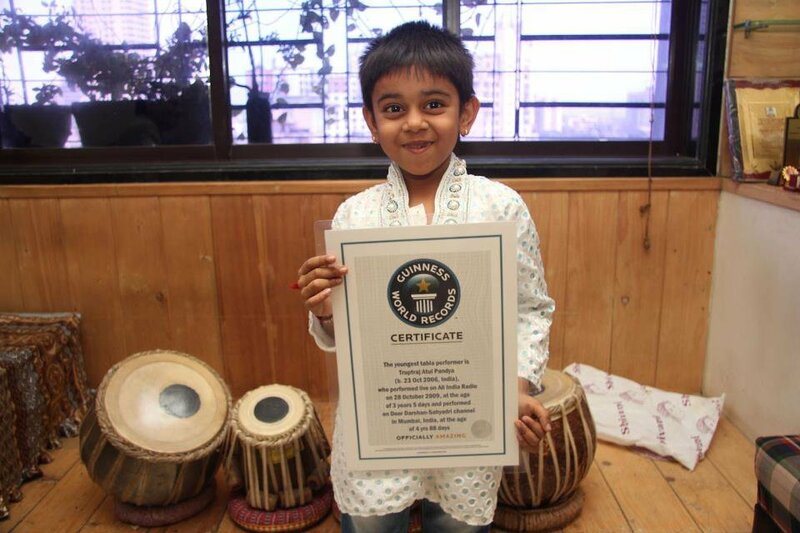 At age 6, he was awarded with a certificate from Guinness Book of World Records for being the youngest ever Tabla Master. 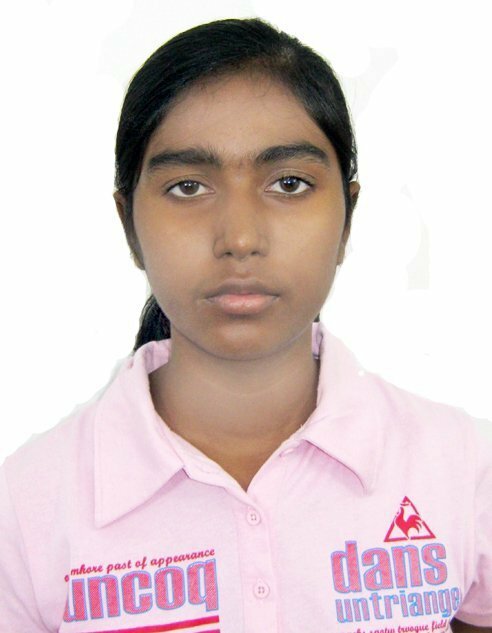 Somani, who's now 15, won the overall title in the Mental Calculation World Cup in 2010. A native of Surat, Somani is the only participant to have achieved 100% accuracy in addition, multiplication, square root in all five Mental Calculation World Cups. Six year old Kautilya Pandit from Haryana is exceptionally good with general knowledge and current affairs. Without any help, Pandit can recollect the general details and statistics of 213 countries off the top of his head. 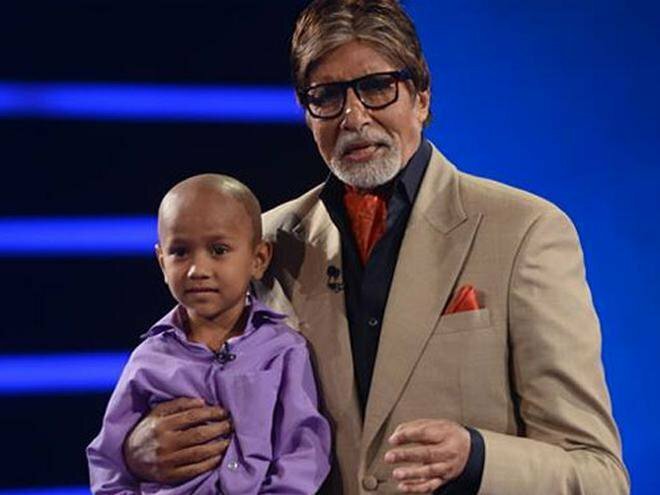 Last year, Pandit also co-hosted the Children's Day episode of Kaun Banega Crorepati with Amitabh Bachchan. 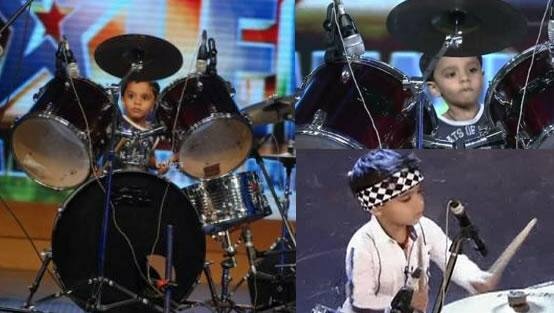 Four year old Anshuman Nandi from Tripura is already famous as one of India's youngest drummers. He picked up drumming while observing his dad teach it to some of his students. 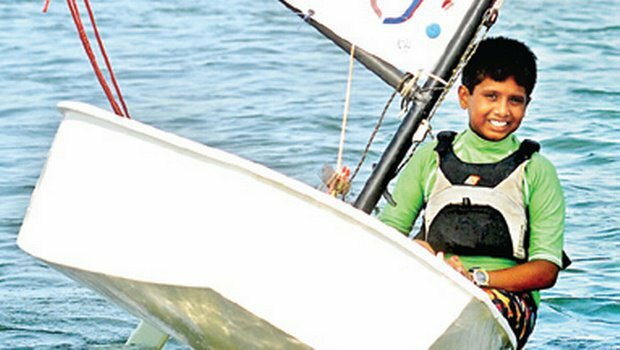 Nandi has already made a mark in the national arena by showcasing his skill in India's Got Talent and Sa Re Ga Ma Pa .
Twelve year old Chitresh Tatha from Tamil Nadu has a bright future in sailing. This year, at the Asian Games, he was the youngest sailor to participate from India. He trains for almost 6 hours a day and sails in the Optimist Dinghy category. His exploits have seen him travel all over the world including Ireland, France, Bahrain, Malaysia, the Netherlands and Malta. This 11th grade student stays up till 3AM on most nights tinkering in his lab. He already has 17 inventions under his name including an Adjustable Electricity Extension Board and a Banana Leaf Preservation Technology. In July this year, he also spent some time getting mentored in Rashtrapati Bhavan. 8. Angad Daryani - The next Elon Musk? 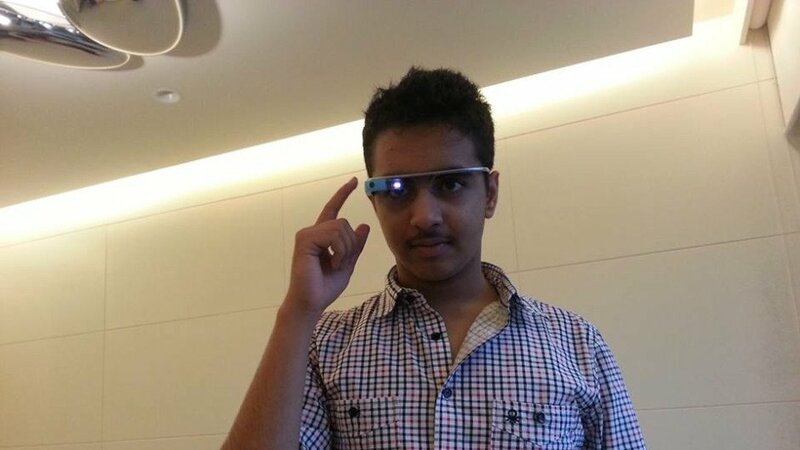 Teenager Angad Daryani from Mumbai used open-source hardware to come up with a virtual e-reader for the blind, a boat that runs on solar power, an automated gardening system called Garduino and also India's cheapest 3D printer called Sharkbot. He started his own kit company knowing that kids in India cannot afford expensive DIY kits. Oh yeah, he also dropped out of school. 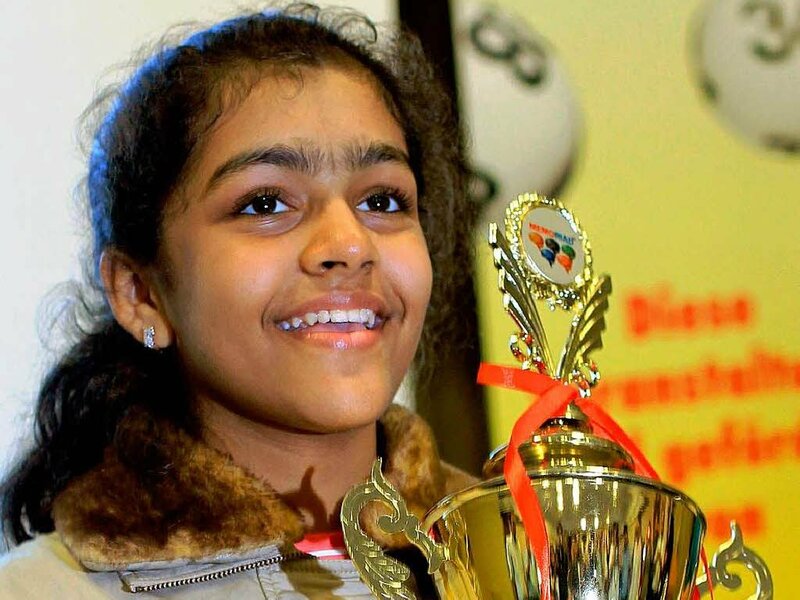 Forget Viswanathan Anand, this young chess prodigy could very well be the next Magnus Carlsen. 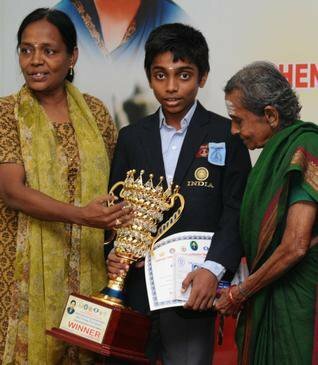 Last year, in an event featuring 21 Grandmasters and 30 International Masters, a 14-year old Aravindh (who was seeded 53rd) beat four grandmasters and won the Open GM tournament. His coach RB Ramesh believes that Aravindh can be a serious threat in international meets if only he gets to play in those events more often. For that, he'd need financial assistance. Let's hope things do work out for this kid, because he's one hell of a talent we can all be proud of. In a country of prodigies, 4-year old Pari Sinha is one step further. 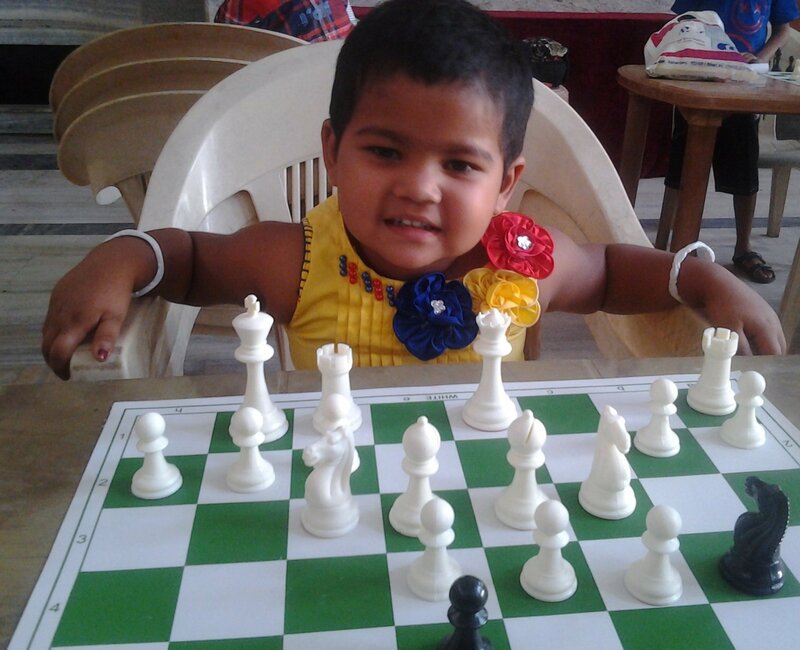 This chess sensation from Bihar checkmated opponents twice her age in State Level Championships and ended up with a podium finish, where she was the youngest ever contestant. Currently she is being coached by Subhendu Chakraborty. Watch out for her in the coming years. 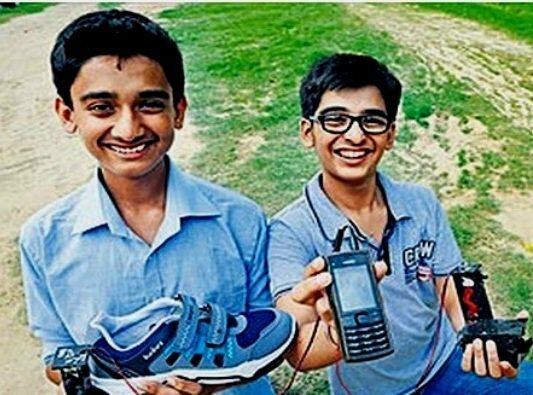 Anand and Mohak, two friends from Delhi's Mount Carmel School, turned their science exhibition project into an amazing invention - a shoe that also works as a portable charger for mobile devices. They call it the "Walkie Mobi Charger" which generates 6 Volts of electricity as opposed to the 5 Volts that most chargers generate. If this gets mass-produced, there will be lot of healthy people around. Way to go, boys! 12. Shalini Kumari - "You're welcome, old folks." Shalini Kumari, from Bihar, saw her grandpa not being able to visit his favourite spot, the terrace garden, because he was using a walker. This motivated Shalini to design an amazing new variation of the commonly available walker that also works when you need to use it to climb up and down flights of stairs. These new walkers will soon be made available for sale in the market. 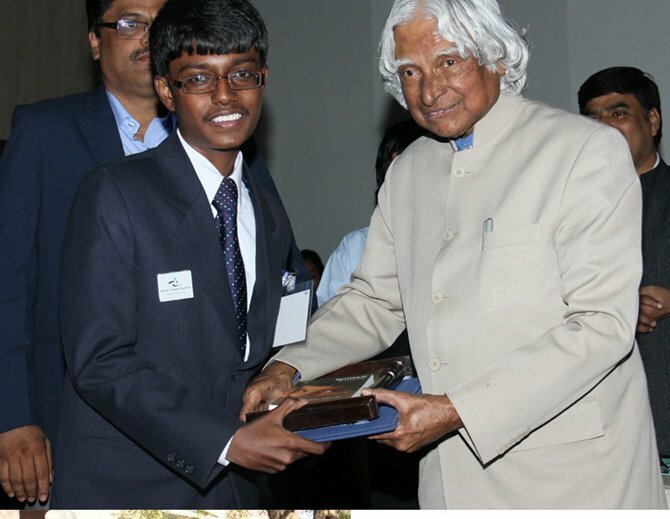 Satyam, the son of a farmer from Bihar cracked the IIT entrance exam by getting AIR 679. This was his second attempt. Dedication level - Boy genius. 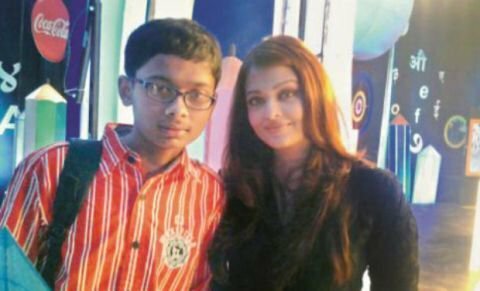 Even Aishwarya Rai Bachchan is a fan. Moin has suffered more fractures in his life than he has bones in his body due to osteogenesis impertecta, a disease that makes bones so brittle that coughing can fracture them. But this didn't stop 16-year old Moin from winning the 50m backstroke gold medal at IWAS (International Wheelchair and Amputee Sports) World Games in Puerto Rico last year. He also holds the record for being the youngest Indian swimmer with a locomotive disability, earning him the nickname 'Boy Wonder'.